No New Movies on TV this weekend. We have been so blessed for many, many weekends to have a new movie on either Saturday or Sunday night... through Winterfest, Countdown to Valentine's Day, Spring Fling, etc... plus several Mystery Movies, too!!! What's next? Well, Hallmark Movies & Mysteries will have a Marathon of "Garage Sale Mystery" Movies on Saturday, the Hallmark Channel will have various original movies throughout the day on Sunday, including: "Perfect Match," The Perfect Catch," "Love Blossoms," etc... and the Hallmark Channel does have a new Sunday night series, since "When Calls the Heart" finished last weekend, but that is not something I have chosen to promote. 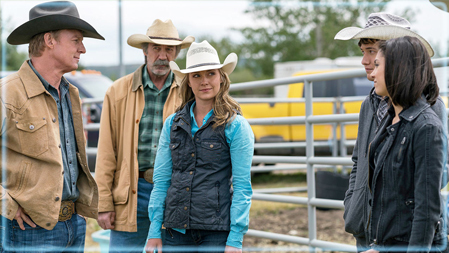 UP will also have a new episode of their weekly Television series "Heartland," Sunday night, at 8pm/7c., following a repeat showing of Season 10 Episode 2. So... without any new movies this weekend, perhaps, this is a good time to relax, watch some movies you haven't seen, yet, on the DVR, take a walk, and maybe, get out and enjoy (hopefully!) some good weather! on this last Spring Weekend in April!!! 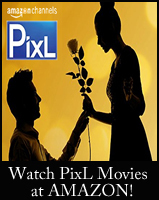 Storyline: A man and his wife ditch the distractions of technology to repair their strained relationship. 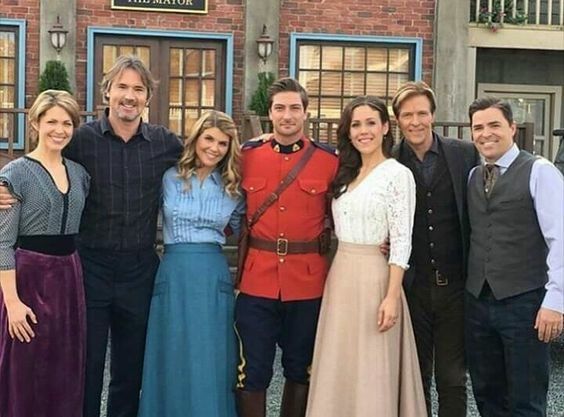 Applause All Around - from the Hearties!!! First - for a beautiful end to Season 4, which was filled with all sorts of adventures, heartwarming stories, and best of all, so much love!!! 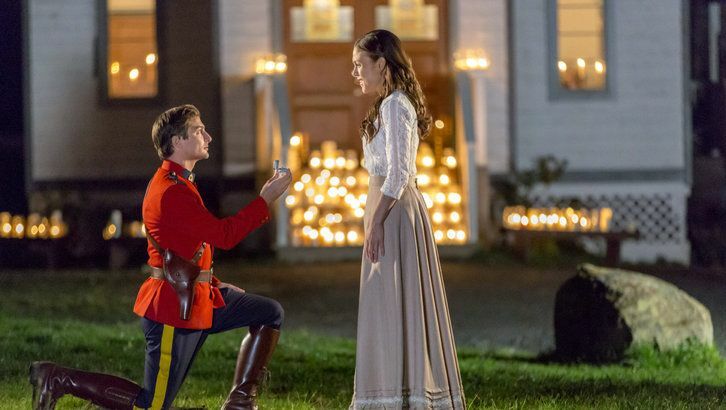 Each episode of "When Calls the Heart" this Season - tugged at our heartstrings a little deeper, as we were enriched by the arrival of Carson Shepherd, Shane Cantrell, and Constable Doug Burke, frustrated by the corruption of Ray Wyatt and his handling of the railroad, elated by Jack's marriage proposal to Elizabeth, charmed by all of Rosemary and Lee's first year of marriage silly and sweet antics, captivated by Abigail and Cody and all of their precious moments, as well as the adorable Opal - who more than once warmed our hearts, along with the other school children. And then, we were filled with discontent - as we watched Jack leave Hope Valley with such courage, and ride away from Elizabeth. 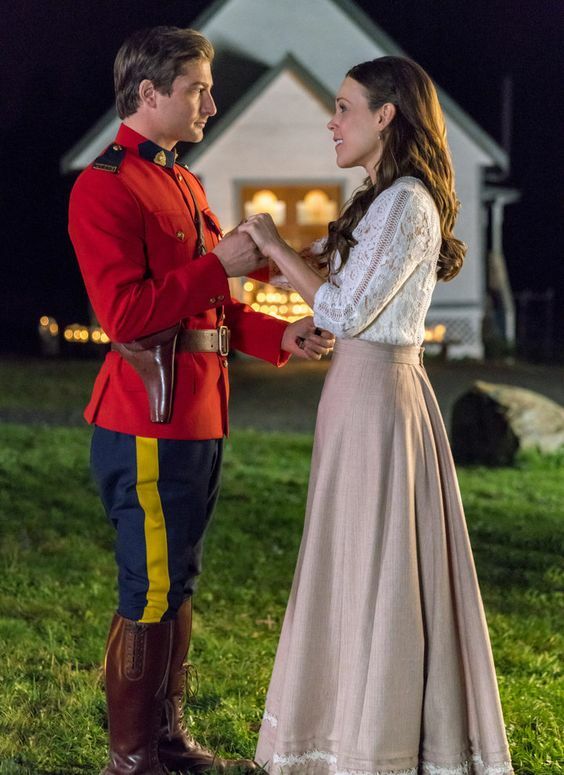 However, hope springs eternal as we are delighted to know Season 5 is on the way -- which was officially announced by Erin Krakow on Hallmark Channel's morning show Home & Family, Monday April 24, 2017! We are so blessed - there is no need to say goodbye to this amazing series. 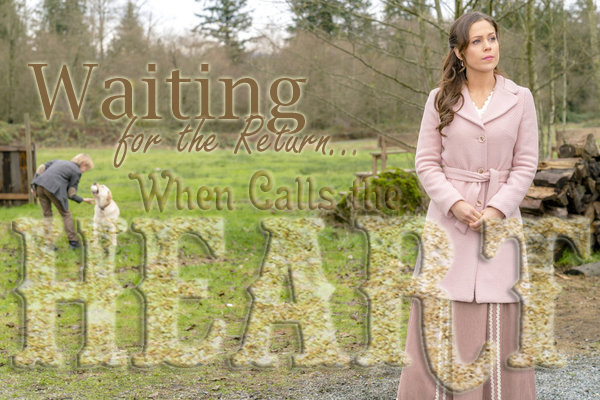 We will only have to remain patient and wait for the return of Season 5 - and hopefully with it.... the return of Constable Jack Thornton - and all of the other characters we have come to love and hold dear on "When Calls The Heart!" Blessings to all of you, Hearties!!! 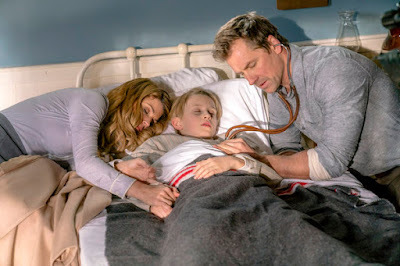 This Weekend on TV: Prepare your Heart for the "When Calls the Heart" Season Four FINALE - on Hallmark, plus Score a Baseball Movie, and Ride Again as "Heartland" Returns on UP!!! 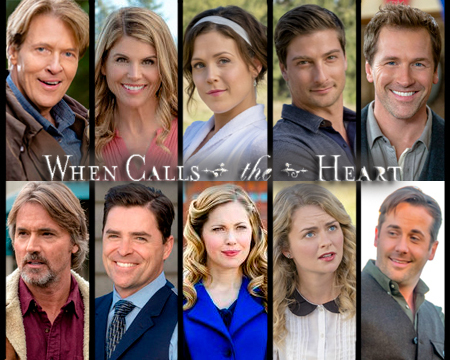 If you're a fan of the weekly television drama series "When Calls the Heart," then you will definitely want to watch the *Finale* for Season FOUR - this Sunday Night! It's been a season of ups & downs, highs and lows, good vs. bad, truth vs. lies, honor, dishonor, love, revenge, hope, grief, forgiveness, and courage! And, if you're a true Heartie, then you've been along for this journey every step of the way - through good, happy times, and through heartwarming tears! 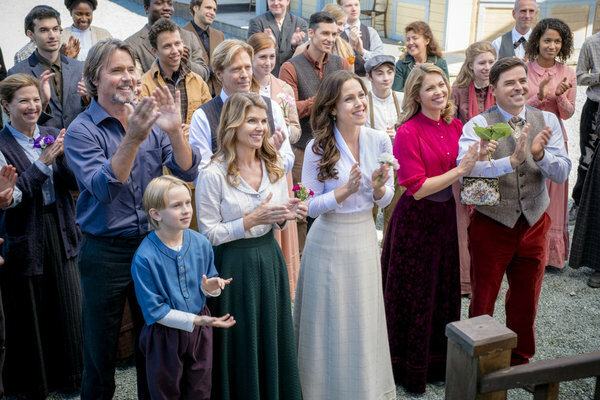 Where will the "When Calls the Heart" season four finale take our beloved Hope Valley residents? 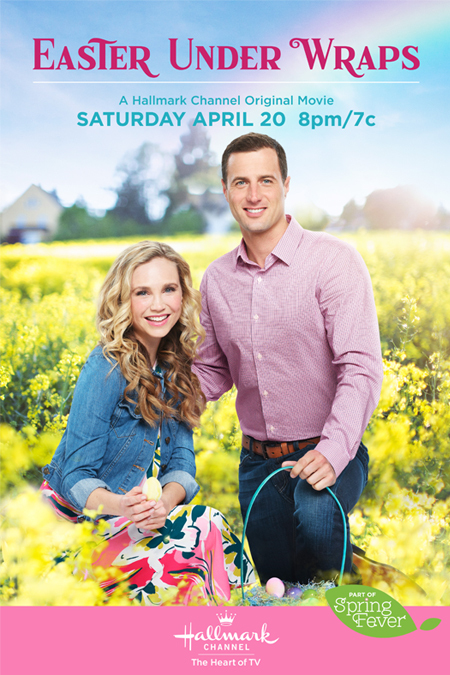 Can Abigail muster enough strength to endure Cody's illness? Will all of Carson's secrets be revealed? What does the future hold for Lee and Rosemary, and the saw-mill? Will the train tracks ever be built? 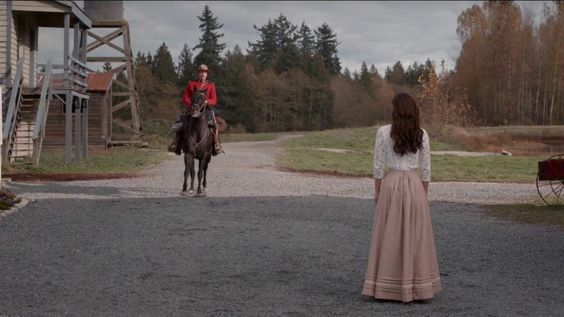 Will Elizabeth keep the faith, as she waits for her love to return? Will Jack ever come home - to Hope Valley? Let us hope - some of these questions and more... will be answered in this last episode of the season this Sunday night! More details below! Be sure to Catch the Premiere of "The Perfect Catch"
Season 9 Finale - "Resolutions" - airs Sunday night at 7pm/6c. 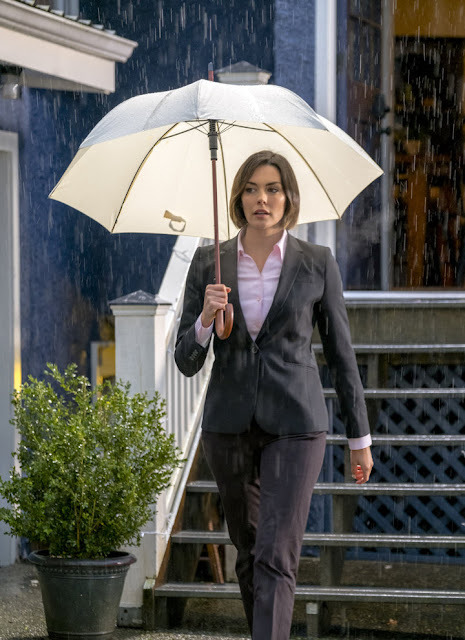 Storyline via UP: "When their plans to get away are thwarted, Amy and Ty celebrate their first anniversary closer to home and Amy unveils a special surprise." NEW! Season 10 : Episode 1 - "There Will Be Changes" airs at 8pm/7c. 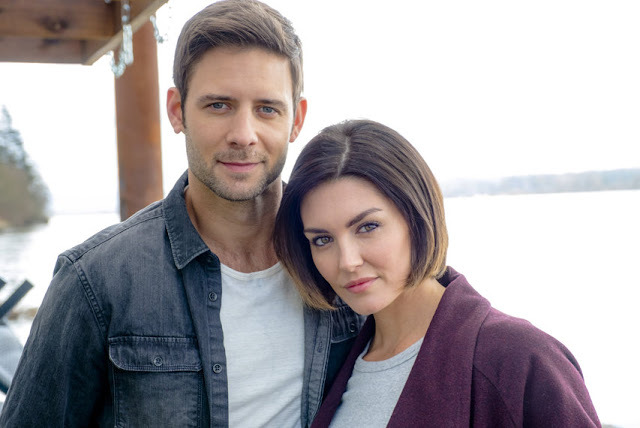 Storyline via UP: "As Amy and Ty prepare for parenthood, they work together to resolve a dangerous pregnancy issue." NEW! Season 10 : Episode 2 - "You Just Know" airs at 9pm/8c. Storyline via UP: "Ty performs life-saving surgery on a mare, while Amy and the family work around-the-clock to bottle feed the mare's twin foals." 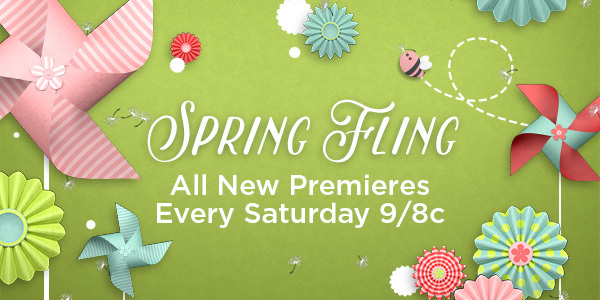 Then on Sunday Night, it's the SEASON FOUR FINALE you've been longing to see! *Also, actress Erin Krakow (Elizabeth) will make an appearance Monday on Hallmark Channel's morning show - Home & Family. Could this possibly be a special announcement!?!?! 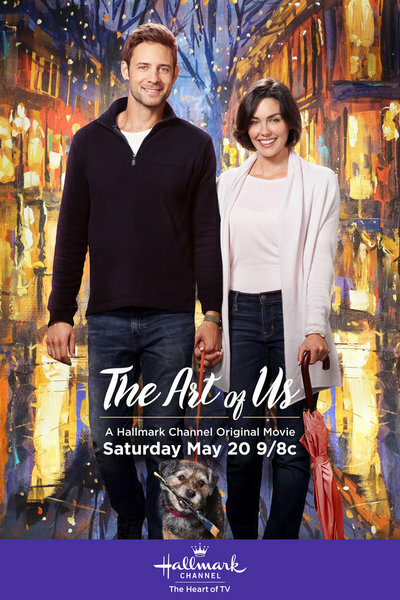 "The Art of Us" -- a Hallmark Channel Original Movie! 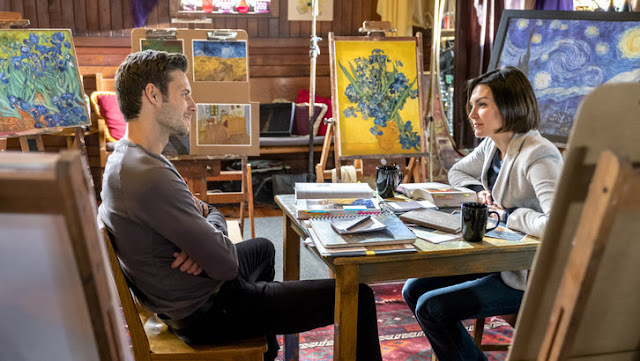 Storyline via Hallmark: Harper Higgins is determined to land a tenured position at Boston Art College, and she’s counting on curating a big art gallery at the university to do so. 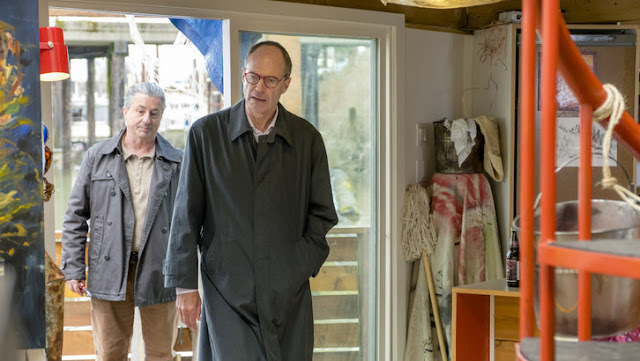 But when she loses her showcase artist and can find no one else, she turns to her recently-hired dog walker who, unbeknownst to anyone, is a skilled painter. More via Hallmark... Dr. Harper Higgins is determined to land a tenured position at Boston College and is counting on curating a major university art exhibit to do so. 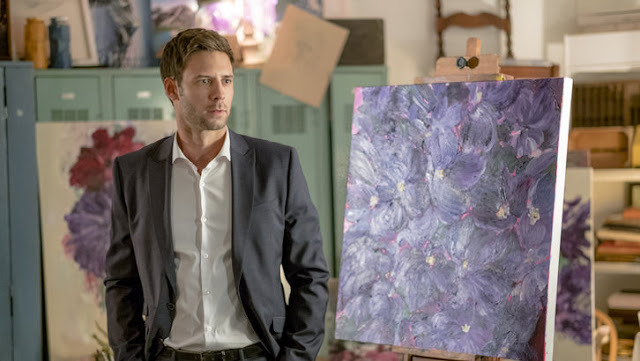 But when her showcase artist cancels, a desperate Higgins turns to her new dog walker, Tom Stone, who, unbeknownst to anyone is an astonishingly talented painter. Transforming Tom into a credible, respected artist becomes an even greater challenge as Higgins’ initial white lie snowballs into an outlandish story that has the entire campus buzzing about the show. Favorite Faith & Inspirational TV Movie - Coming Soon! The "It's a Wonderful Movie" poll for Favorite Faith Movie has ended! Thank you all for participating and voting. Results are Coming Soon! In the meantime, stay tuned next week for more "It's a Wonderful Movie" Polls! "Decorating Disney" will reveal how holiday magic is created at Disney Parks by giving viewers an inside look into how the holidays come to life at the happiest and most magical place on earth. Freeform is giving audiences an exclusive global tour as Disney transforms all 12 Disney theme parks, four cruise ships and resorts into a winter wonderland - literally overnight. Viewers will meet the dedicated team of Disney cast members and Santa's real-life elves who, with a spoon full of sugar and a little pixie dust, will plan, design, and build life-size gingerbread houses and gorgeous Christmas trees so tall, it takes a crane to install them. From director/producer Will Gluck of "Easy A" and "Annie" comes "Angry Angel" (working title), the story of a young woman who tries to get back to heaven after she seriously messes up. During this quest, she bumps into the love of her life and suddenly heaven doesn't seem so great after all. Think "It's a Wonderful Life" for the Snapchat generation. Produced by Olive Bridge Entertainment in association with Sony Pictures Television, Will Gluck and Richard Schwartz will serve as executive producers. "Angry Angel" (working title) is an all-new scripted two-hour movie, premiering in December 2017. Tyra Banks will reprise her iconic role as a doll that comes to life in the sequel to the beloved Disney movie "Life-Size"; but in the sequel, everyone's favorite doll Eve has grown up. This time, she's magically awoken to help a young woman learn to live and love again, and along the way, Eve herself will experience the ups and downs of real life in a fun, edgy, modern Christmas movie. Tyra Banks will also serve as executive producer. As I read and re-read the description above for "Angry Angel," it sounds like to me, Hollywood is attempting, once again, to skew our religious beliefs. One does not "mess up" and leave heaven. We are saved by God's grace. I personally found the title of the movie, "Angry Angel," to be extremely offensive. To portray an Angel as Angry over frivolous matters - is quite demeaning. Since this is the working title, it may change before it airs on TV, this Christmas, but I still want to caution you all - I have a strong feeling that this movie may not be in the same sweet-nature as Clarence, in "It's a Wonderful Life." 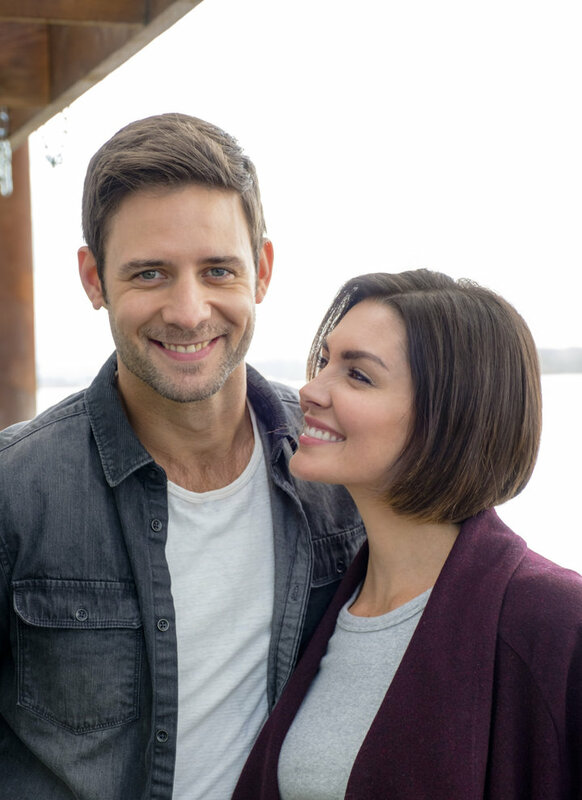 "Love At The Shore" - Hallmark Announces First Movie For "Summer Nights!" 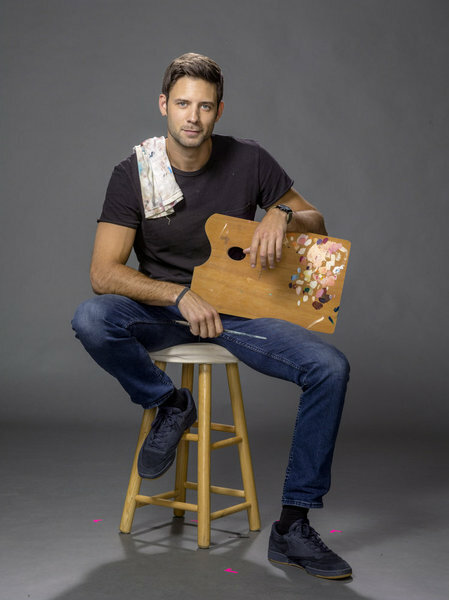 STUDIO CITY, CA – April 19, 2017 – Principal photography began in Georgia this week on “Love at the Shore,” a Hallmark Channel Original Movie premiering Saturday, July 29 (9 p.m. ET/PT). 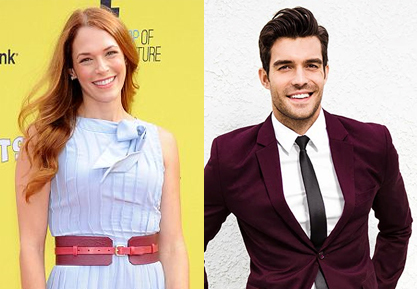 “Love At the Shore” stars Amanda Righetti (“Colony,” “The Mentalist”) and Peter Porte (“Baby Daddy,” “The Young and the Restless”). 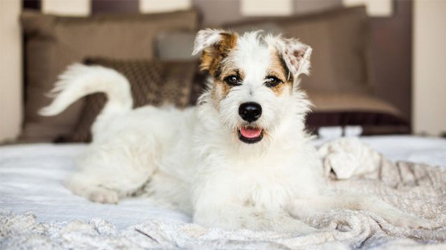 The film also co-stars “Happy the Dog,” Hallmark Channel’s two-year-old adopted Jack Russell Terrier mix. Happy the Dog is one of two rescued pets belonging to Crown Media Family Networks, and the animals are the heart of the company’s mission to showcase the joys shelter pets bring to our lives and to ending pet homelessness. “Love at the Shore” tells the story of author Jenna Thompson (Righetti), a mother of two young children whose summer vacation plans take a turn when the family arrives at their summer rental and meets the neighbor of the adjoining duplex: stubborn, unconventional, and attractive surfer Lucas McKinnon (Porte). Jenna is neat and methodical, while Lucas rolls with and revels in life as it comes. As Lucas and Jenna spend more of the summer together, he finds a softer side of himself while dealing with Jenna and her children and Jenna realizes she may have been too quick to judge a book by its cover. 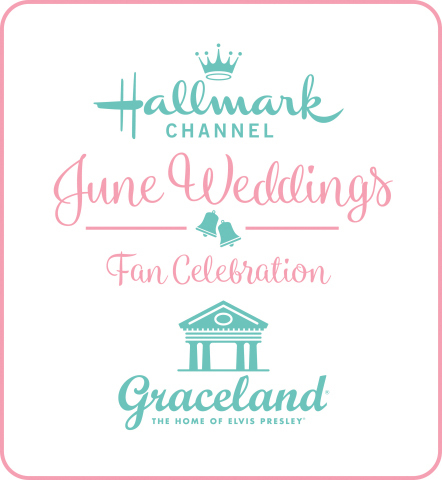 “Seasonal programming events are a winning formula at Hallmark Channel,” said Michelle Vicary, Executive Vice President, Programming and Publicity. “‘Love At the Shore’ is a terrific addition to our ‘Summer Nights’ programming event, six all new, original movies dedicated to fun, sand, and romance,” Vicary concluded. “Love at the Shore” is a Crown Media Productions film. Stan Spry is the executive producer. Steven Monroe directs from the screenplay by Laura Grant and Nicole Baxter. If you are loving Spring and can't hardly wait to dive into Summer, then this movie news is for You! 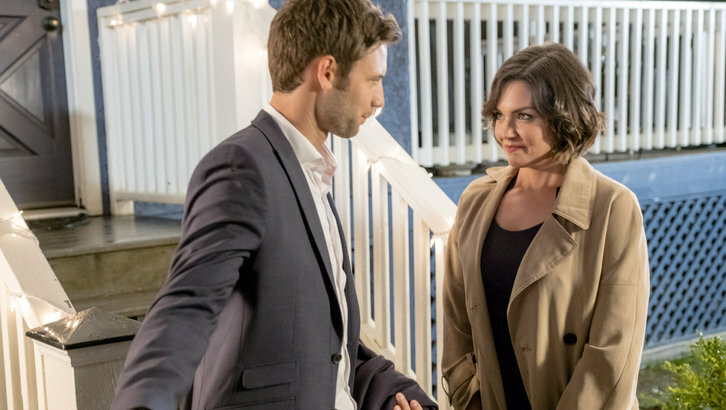 This is the First Movie to be officially announced for Hallmark's "Summer Nights" event! 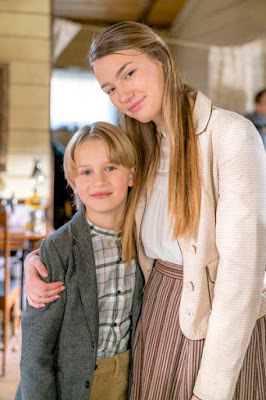 Did you notice that Michelle Vicary, Executive Vice President, Programming and Publicity at Hallmark, shared in the press release above - there will be SIX all new original movies for "Summer Nights!" So far, that's the most for any of Hallmark's special block of movie themes this year. Course, Christmas will far surpass that! Nothing can top Christmas! 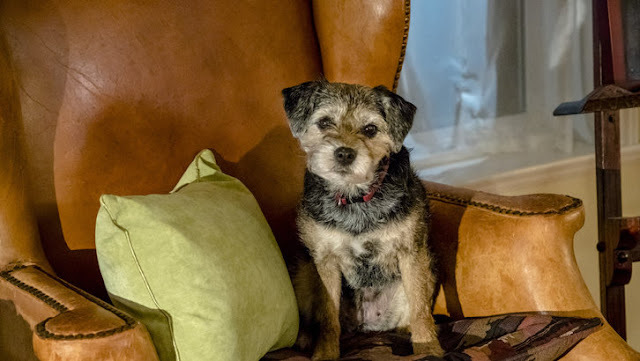 Another fun element to this movie is that it will include Hallmark's two-year-old adopted Jack Russell Terrier mix - Happy the Dog! I'm sure he will be adorable in it! 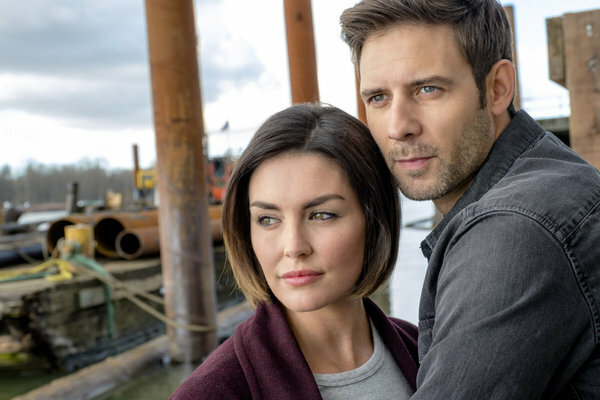 Coinciding, almost at that same time with the premiere of "Love At The Shore," on Saturday Night will be the return of "Chesapeake Shores," which will air on Sunday Nights, beginning July 23! 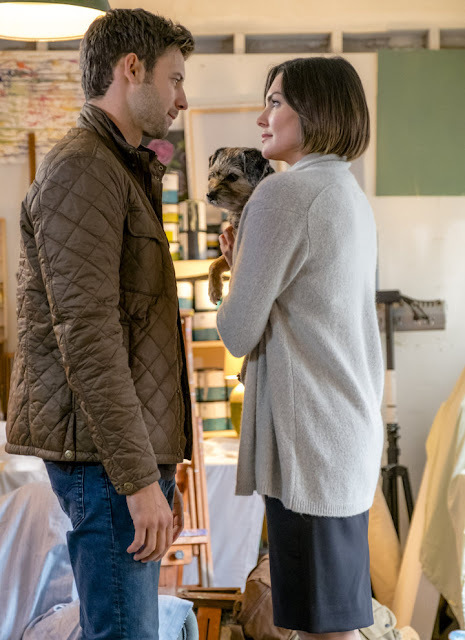 As far as the actors go in "Love At The Shore," TV Movie fans may recognize Peter Porte from last year's Christmas movie "A Cinderella Christmas," which aired on ION. 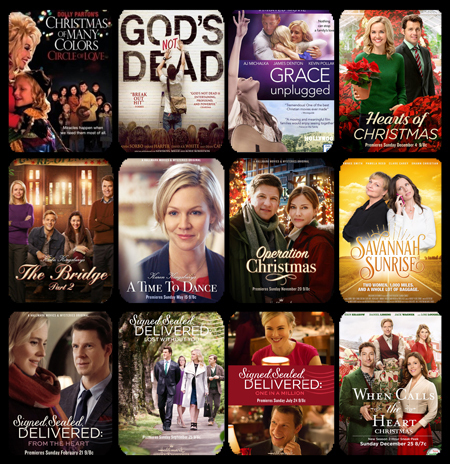 DVD ALERT: Hallmark Movies New to Amazon! 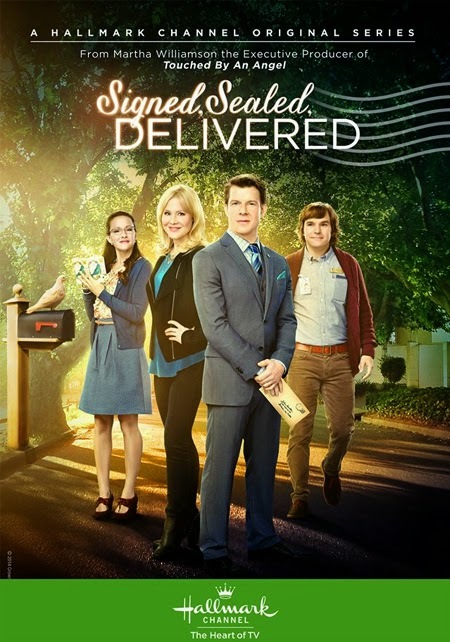 "Signed, Sealed, Delivered: From the Heart"
UPDATE! Love, Again is Now Available on DVD! UPDATE! Perfect Match is Now Available on DVD! A New DVD Release for Season 4 is available Tuesday, April 18th, 2017! 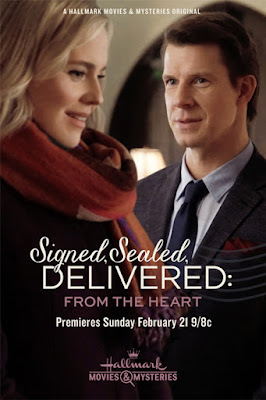 "When Calls The Heart: Heart Of Truth"
"When Calls The Heart: The Heart Of The Community"
"Click Here for DVD Details"
I hope you have enjoyed all of this Hallmark Movie News! I'm hopeful the two June Wedding Movies I mentioned above, ("Perfect Match" & "Love, Again") will eventually be released on DVD, too. Until then, stay tuned!!! 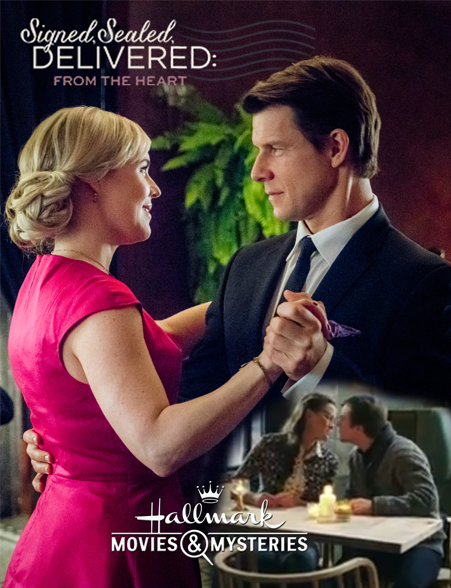 And, be sure to visit my DVD page - HALLMARK MOVIES ON DVD from A to Z - for all the DVD news you can handle!!! On this Holy Day, I am wishing you - all the joy and happiness given to us from our Savior, Jesus Christ! 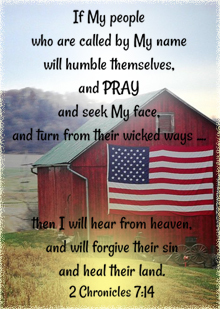 I pray each day - we all take the time to seek Him and rejoice... He is Risen!!! 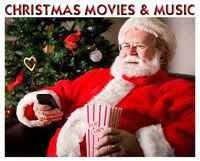 I'll be sharing today ~ TV Movies and Shows (below!) to watch this weekend with your family, the amazing Easter Story directly from God's Word... as well as Easter Specials that honor this sacred Holiday, and a few fun Easter Bunny ones, too! 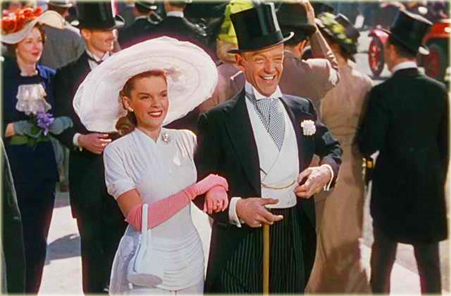 Judy Garland and Fred Astaire in the "Easter Parade"
My Friends Tigger and Pooh - Flowers for Eeyore; Easter Rabbit, Mickey's Great Clubhouse Hunt, and more! 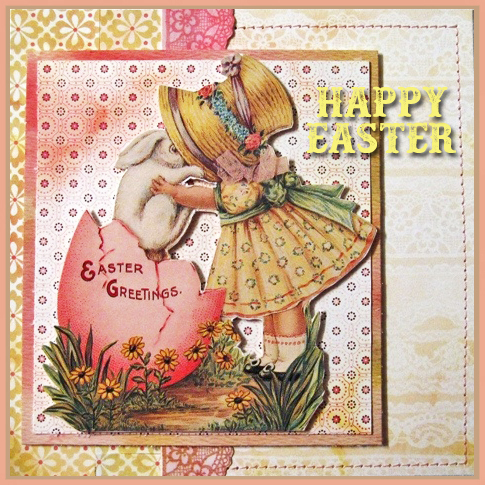 Max and Ruby - Max's Easter Parade; Max & the Easter Bunny, Peppa Pig - Easter Bunny; Spring; Rebecca Rabbid; Mummy Rabbit's Bump; Garden Games, and more! 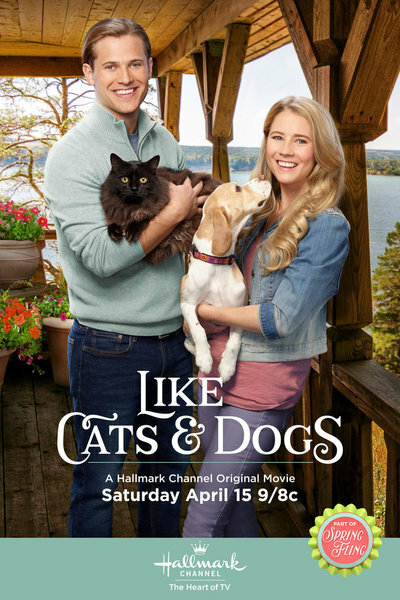 A Dash of Love, Moonlight in Vermont, Walking the Dog, Hearts of Spring, and an encore airing of the new premiere: Like Cats and Dogs! Season 4, Episode 9: "Heart of a Secret"
*Unfortunately, just like last year - there is NOT a listing for the Charlie Brown Easter Special, “It’s the Easter Beagle, Charlie Brown”. All Charlie Brown episodes are something truly special and dear for each holiday ~ so the whole Peanuts gang will be wholeheartedly missed again this Easter Season! 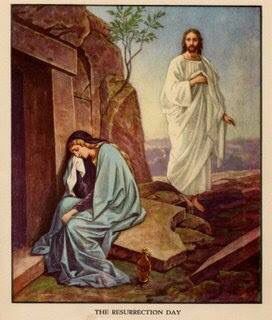 I pray you all have a Blessed Easter Weekend. 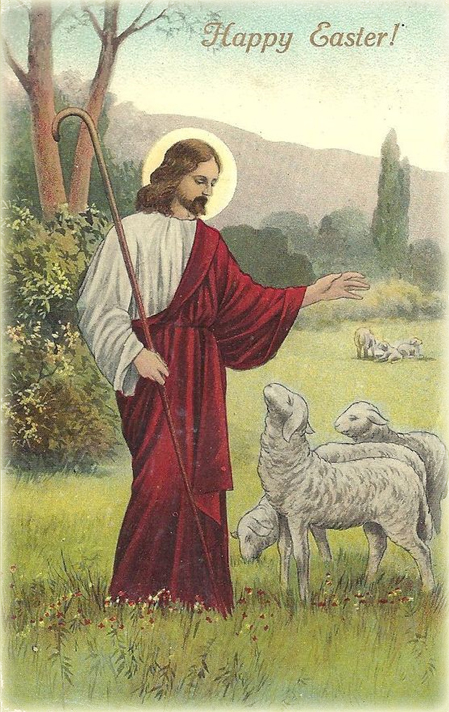 Below, I have shared the Easter story directly from God's Holy Word. Happy Easter, Everyone! May you find abundant joy in God's Promises! 27 They crucified two rebels with him, one on his right and one on his left. 28 29 Those who passed by hurled insults at him, shaking their heads and saying, “So! You who are going to destroy the temple and build it in three days, 30 come down from the cross and save yourself!” 31 In the same way the chief priests and the teachers of the law mocked him among themselves. “He saved others,” they said, “but he can’t save himself! 32 Let this Messiah, this king of Israel, come down now from the cross, that we may see and believe.” Those crucified with him also heaped insults on him. As it says in 1 Peter 1:3 - "Praise be to the God and Father of our Lord Jesus Christ! In his great mercy he has given us new birth into a living hope through the resurrection of Jesus Christ from the dead."